All aboard the Queen Anne as we set sail on a transatlantic cruise departing from New York en route to Southampton and encounter the most unpredictable of weather while enjoying the mystique that only the open sea can bring. 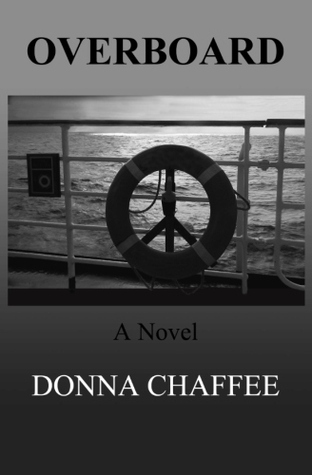 Lucky for the readers, the characters in this story are a reflection of the seas that they travel on, it certainly makes for an entertaining time. Antonio Medina is the Chief Executive Operator of World Cruise Lines and the owner of the Queen Anne, the largest passenger ship in the world. As a child he was constantly denigrated for having no talent or toughness by a Cuban immigrant father who made his own breaks in life. Antonio’s future successes would be driven by his father’s feelings. Career conscious as an adult, he has married out of convenience, and being out on the road has given him free rein in embracing his carnal desires while making his company the benchmark in the industry. Peter Alan Moores is a man that also came from humble beginnings. The son of a truck driver, Peter was motivated by his ambitions and to achieve more than a life of destitution. His future involvements with woman seems to have been a reflection of having a love-hate relationship with his very own mom which weighed more on the latter. Ever since the age of seventeen Peter has worked himself up the boating hierarchy from deckhand to present day Captain of the Queen Anne. Possessing a presidential charm that comes with a powerful occupation and a uniform that signifies prestige, Peter has a great ability at using his wiles, wears and embellishments to get what he wants. Diana “Pepper” Laing is a native Californian and self-confessed “dilettante” that spends her time dabbling in a lot of areas, but the majority of her time is spent working as a freelance writer. With financial means being less of a concern, her life is spent doing what she wants rather than what she has to do. Unlucky when it comes to love, Diana finally found her Mr. Right in an older yet comfortably-fit man named Roger. As fate would have it Roger is diagnosed with a cancer that would end up taking his life. Downtrodden and alone Diana realized that she had no more tears to cry. She decided to live her life with fulfillment while understanding the non-permanence that it possesses. Traveling and writing was her only antidote, and if she could achieve both at the same time, all the better. 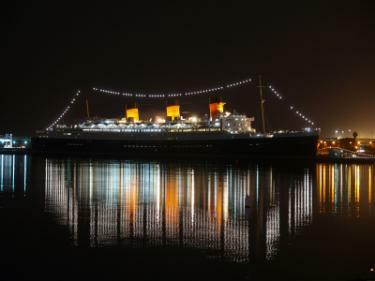 A colleague and editor of a Florida newspaper gave her the opportunity for a transatlantic cruise while writing a piece on the Queen Anne, this was an experience too good to pass up. This book was really gripping in its opening sections but I found that some of the twists and turns could be seen from a hundred miles away up periscope, so that was rather disappointing. When I read a murder mystery I like it to be executed well with unpredictability as a component in its construction and a tense, surprising, whimsical nature in its disclosure. Let’s just say that the beginning and end more than compensated for the anticipatory middle section. I also found the main characters to be quite irrational and unlikable, with little redemption. I am one that could care less if I like a character or not, but when jealousy and sheer ignorance are a fixture in relationships and conversations between people it rubs me the wrong way. Given Diana’s unfortunate perspective on love founded on past experiences, it is amazing to see how unrelenting her ideals can be and how clouded it can sway her judgment when it comes to men. Peter on the other hand was incredibly hard to predict. The author provides a sense of progression or pathway that Peter will follow, but you are not provided with a means to how he may change, he just simply, changes for no apparent reason. For him, lip service, ingratiation and flattery seem to be a vehicle for getting what he wants, honesty and integrity with woman were not an avenue he was willing to pursue. So what’s the point of a detailed history if his actions are nonsensical in comparison? I understand that characters can evolve, there just was no moment of clarity for them or myself. I guess some people just deserve one another despite their negative relationship reciprocity. C’est la vie. Overall, Overboard was an interesting “whodunit” with in depth research into Cuba/American relations, other political intrigue and a love story that will interest many readers. I recommend this book to any reader that enjoys a little education to go along with their mysteries and romances. “Now, it seemed inevitable and rather fitting that the ever-changing and unknowable sea would somehow be the instrument of their destiny. But Diana knew that it was both foolish and ultimately futile to worry about the future. If this journey over the last several months had reaffirmed anything for her, it was that, as much as possible, she should try to live in the moment and forget about the what-ifs.